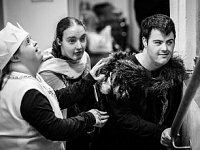 The Launchpad Project, designed to help adults with learning disabilities and/or autism develop skills in drama and performance, is back and looking for new recruits. 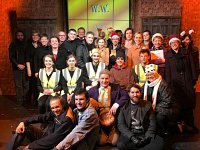 Organised by Sheffield Theatres, it gives participants the opportunity to work with professionals to develop their performance skills and devise a performance all of their own. Auditions this year are on Thursday 28th March, and the deadline for applications is Friday 1st February . Spectrum Theatre Company, an integrated group which contains both autistic and neurotypical talents has launched its Christmas show – a musical entitled Sterling Silver, which is set in Sheffield almost a century ago and tells the story of how buffer girl, Lizzie, and Daniel, heir to Thornton’s cutlery, fall for each other at a time when such things aren’t supposed to happen. 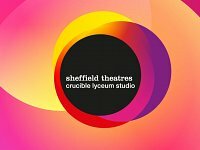 Sheffield Theatres’ are holding an Access Event on Tuesday 27 June from 3.30pm until 5.00pm at the Crucible Theatre. Sheffield Theatres event for individuals and groups who use Audio Description, Captioning or Sign Language services to get to know the venues at Sheffield Theatres. They will be holding familiarisation tours in the Lyceum and Crucible accompanied by Audio Describers, BSL Interpreters and live captioning. 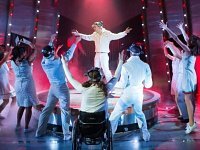 This part time post will develop innovative and successful practices in the integration of D/deaf and disabled artists and audiences into all aspects of the theatres’ work.The closing date for applications is Friday 28 April 2017 at 10.00am.